There are retailers who believe they need to make customers aware of their deals the first second they visit their website. Retailers tend to do this with glorified full-width banner ads, pop-up ads and whatever a third-party vendor sells to them. 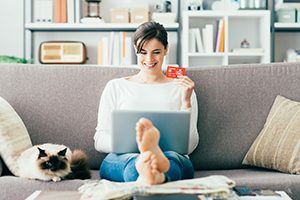 Consumers actually want a streamlined online and mobile shopping experience, which means less ads, according to a survey conducted by Instart Logic and Propeller Insights, who surveyed more than 1,000 adults in the U.S. The survey discovered 42% of respondents were frustrated by pop-up ads that blocked them during their shopping experience on a retail website. Over 51% of those surveyed said websites should decrease ads. How many ads were tolerable? Respondents (44%) said they could tolerate two ads per website during their web surfing experience. Pop-up ads seemed to lead to the biggest frustration for 57 percent of those surveyed. The most annoying types of ads are the full-width ads. With 48% of them stating they would bounce from a website or app if it crashed, retailers need to ensure ads aren’t hindering performance. While 36% said they would never return to a site or app again. Conversions can be lost within the first second of a visit by overwhelming a visitor with the quantity or quality of a digital ad. What’s Your Motivation to Open a Small Business?